Your Public image can be as beautiful & inspiring as your important mission! Getting attention in today's world can be challenging! It’s no longer enough to rely solely on traditional media or grassroots engagement to get a story out to the public and garner support. But with so many concerned people and new forms of media, the time is right for making the most of communications to catch attention and inspire action. This training program with practical tools helps you learn our approach and apply it for long lasting impact. The Workshop also includes one-on-one follow up, webinars, and an ongoing practice community. Multiple groups can sign up together for cost-savings. 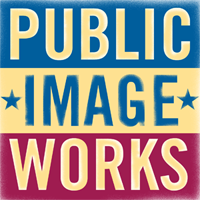 Please contact us below if you are interested in the Public Image Workshop. We can help you customize the whole process – or just key parts – to help you design a stronger Public Image. Each project is different, so please contact us below to discuss an approach that will fit your needs and budget.